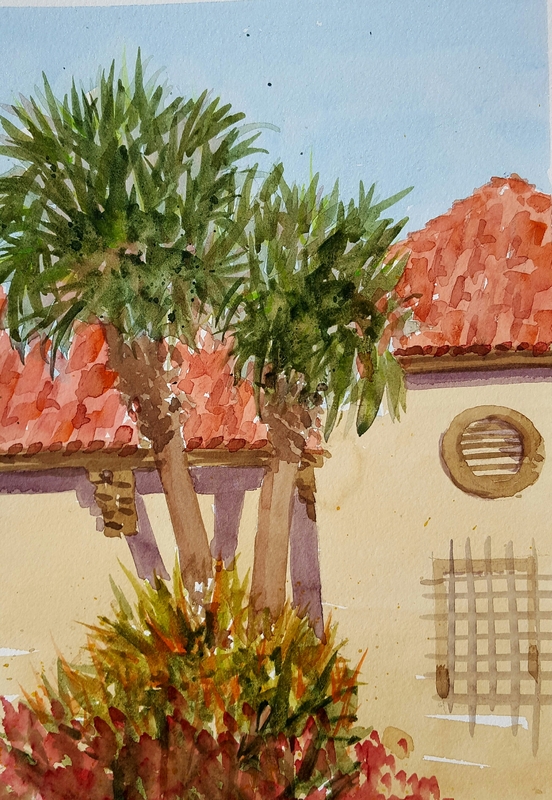 A plein air watercolor of the historic Naples Train station. Once the rails were laid and the trains started to roll, the West Coast of Florida was opened up to visitors and developers. The building now houses a museum. 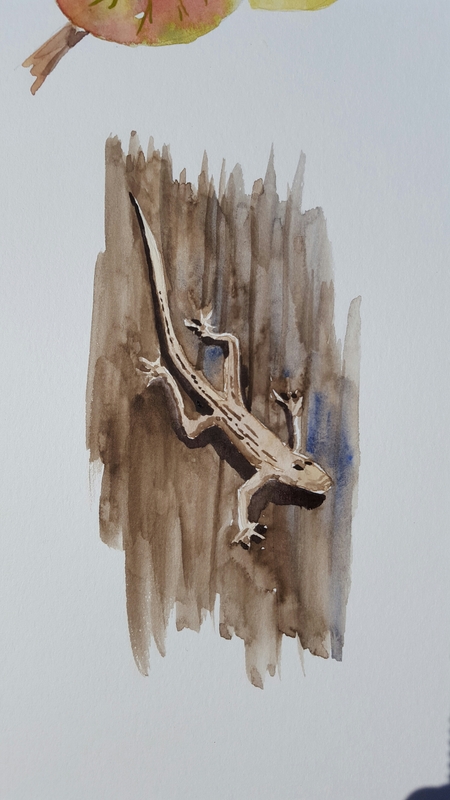 Holbein watercolors on Fluid 140 pound Cold Press watercolor block. 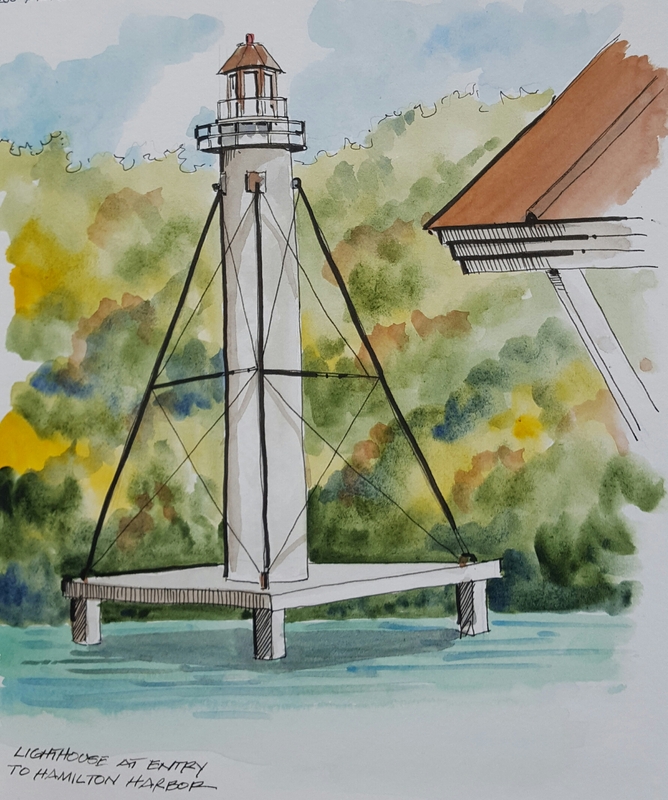 This is a sketch of the lighthouse at the entry to Hamilton Harbor in Naples, Florida. 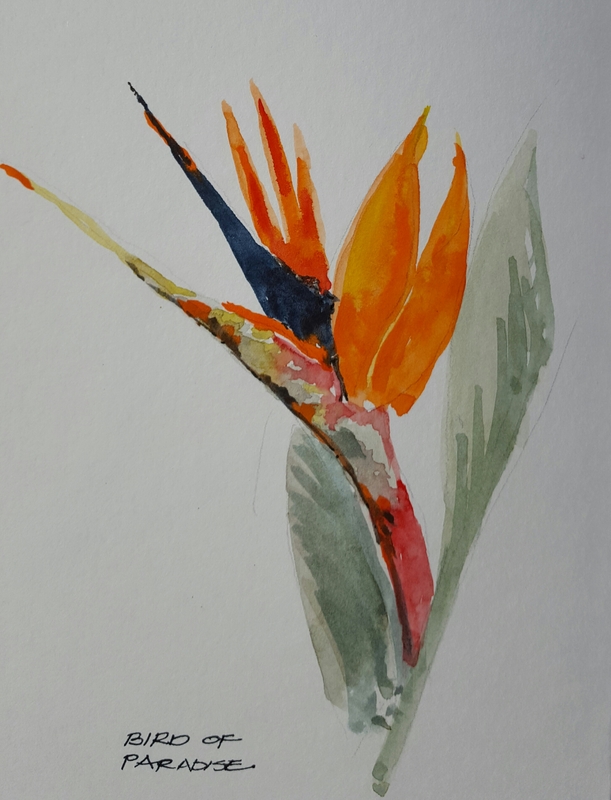 Pilot Falcon fountain pen with Noodlers black ink and Holbein watercolors in a Stillman and Birn sketchbook. A fun evening at the Bay House in Naples, Florida. 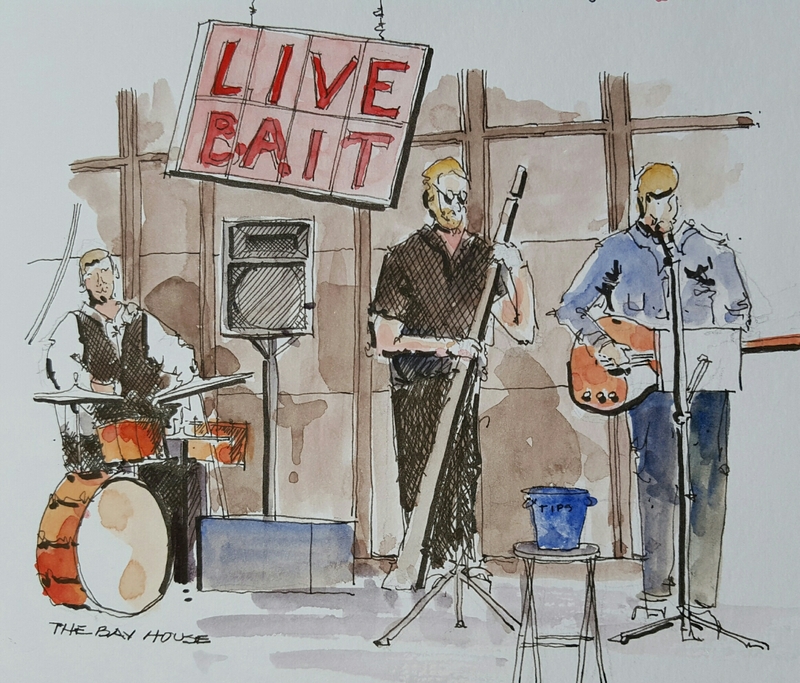 Great location on a river, always excelent food and fun music. Pilot Falcon fountain pen with Noodlers black ink and Holbein watercolors in a Stillman and Birn sketchbook. 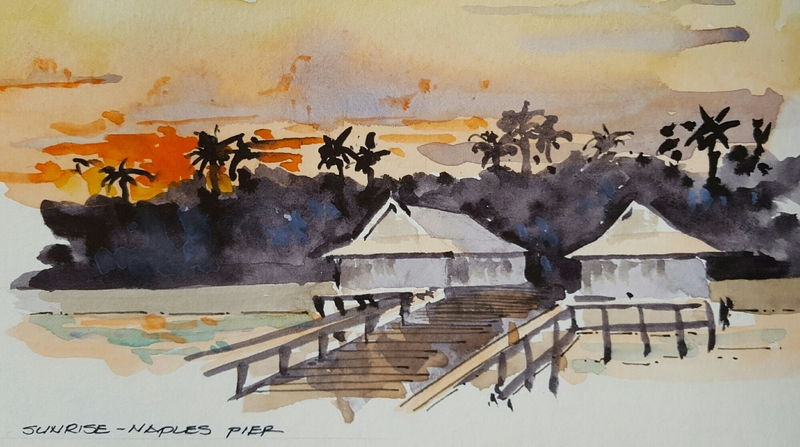 Watercolor sketch of a beautiful sunrise from the pier in Naples, Florida. 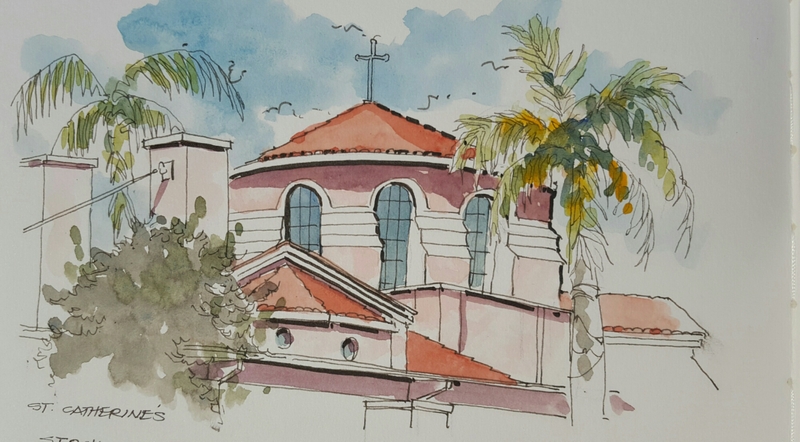 Holbein watercolors in a Stillman and Birn sketchbook.